Our full service Calana deployment and support program also comprises of Calana courseware development. The development and presentation of varied types of content, interactive deliverables using quizzes, workshops, feedback, assignment, choice, survey, wiki etc. can be done on Calana based on the reference you provide. 4C helps organizations take right decisions regarding selection of courseware and training delivery. Our content team is experienced in instructional design, rich media authoring, SCORM and GIFT conversion. We can bulk convert and insert your courseware in Course Areas. 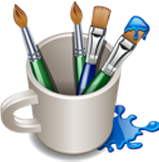 Our courseware development service also covers graphic design of Course Areas. Making a successful e-learning courseware is not easy, no matter how much “content is available online. It is not just a matter of picking the right content and digitizing it with pretty pictures. iDearays' eLearning Services provides Custom eLearning Development form the Scratch. 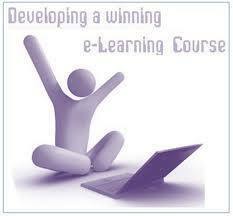 We develop online or eLearning course with rich media and authoring. eLearning has tremendous potential to bring change in organizations and individuals when done right. For specific domains, such as learning and publishing, content QA is very important. Given that we specialize in serving clients in these domains, we see the value of building a niche in testing for content. IT Documentum offers a comprehensive range of documentation services from end user documentation to courseware development. IT documentum's approach to user documentation is based on best documentation practices deployed in the document development life cycle. Strengthened by profound understanding of the past, present and future content management needs and challenges of organizations, Sankhya is a specialist in providing 'content conversion' services ranging from conversion of legacy systems to CBT / WBT courseware development using modern content development tools.